In the brand-new Innovation Center in Valencia, CABKA bundles its innovative forces and works intensively on technologies for the future. 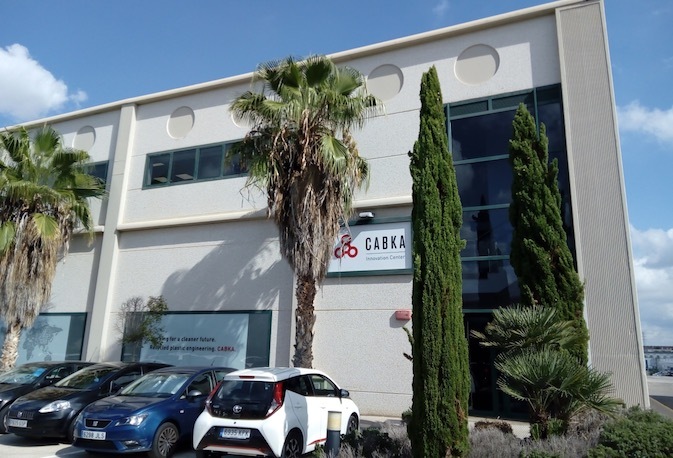 CABKA will be opening a research center at the Technological Park Paterna on a surface area of 800 m², in order to pool the company’s innovative forces and intensify its efforts in developing new technologies for the future. The core topics at the Innovation Center are product development and process automation, with a focus on material development. One of the basic commodities used for CABKA products is recycled plastic from post-consumer packaging waste, and the company is convinced that creative ways of using plastic waste will become an increasingly pressing issue in the future. CABKA has been actively cultivating and furthering innovation at its individual sites for many years. The teams working on these processes are thus optimally linked. The Innovation Center now offers a site where the focus will be squarely on developing new material formulations as well as products based on these new formulations. In addition, the findings of all teams will be pooled and further prepared at this site, so that all locations can benefit equally. What makes the focus on innovation so important? In Germany, for example, approximately 60 percent of plastic waste comes from post-consumer packaging waste. Turning this waste into raw material from which other high-quality products can be produced remains challenging. The worldwide recycling quota of packaging waste from foils is only 1.5 percent. These numbers speak very clearly to the urgency required to deal with this challenge: “The future lies in recycled materials, and they still hold much unused potential. To tap into this, we must constantly ask ourselves how we can optimize our current materials and process technologies. But also how we can find new materials and fields of application,” says Jörg Schuchalski, Chief Operations Officer (COO) of the CABKA Group. The development of new material formulations goes hand in hand with the development of new products whose designs are precisely tailored to the materials used. With this in mind, the focus is also shifting to process automation. The processing of the newly developed materials requires a corresponding adjustment of the production processes. This is why internal process technology is also a fundamentally important area of work at the Innovation Center. The workflows must be adapted to the products and their materials in order to optimize the workflow. CABKA is already operating a sales office in Valencia, which is why the Spanish city was an obvious choice. Another contributing factor to the future success of the Innovation Center is the Valencia-based Polytechnic University. Due to the proximity, CABKA is not only counting on research collaboration, but also on promoting young talent. Image: In the brand-new Innovation Center in Valencia, CABKA bundles its innovative forces and works intensively on technologies for the future. The CABKA Group is a group of companies specializing in plastics recycling and the production of products made from recovered materials. Today, more than 700 people work at eight locations in Europe and the United States to ensure that the products are put to use in more than 80 countries. The products stand for economic efficiency and ecological sustainability.